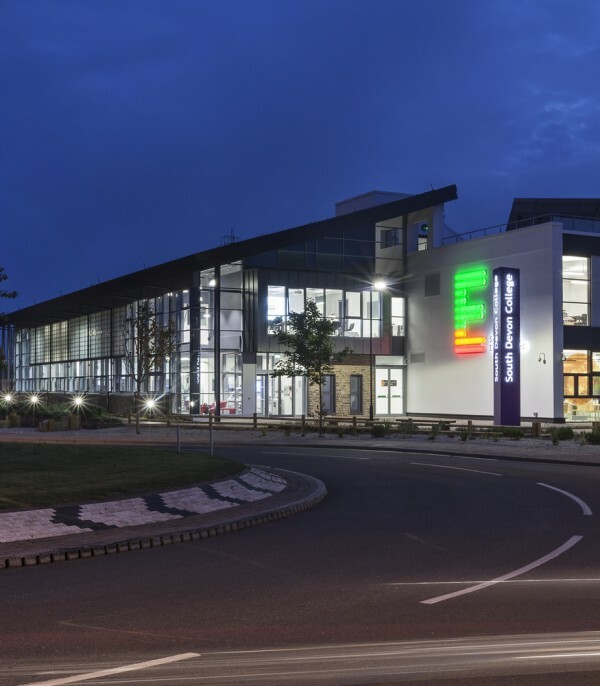 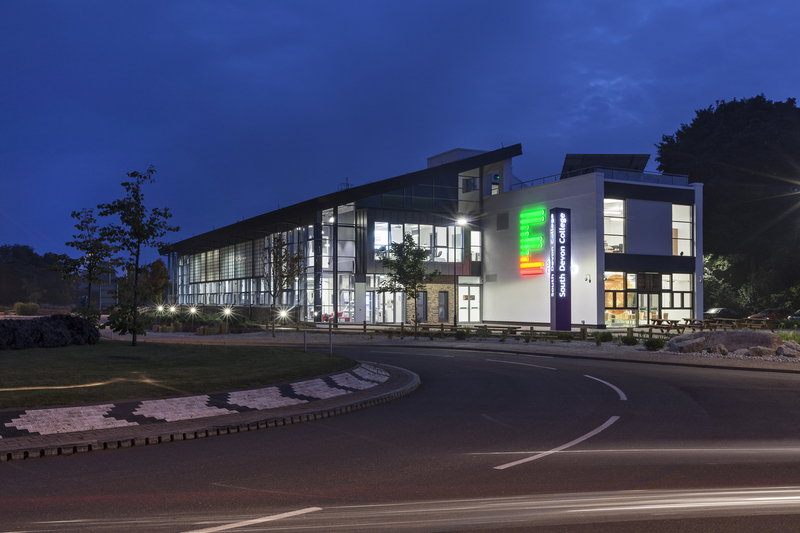 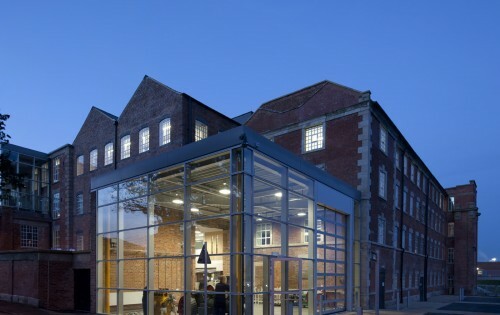 The South West Energy Centre at South Devon College is a state-of-the-art renewable energy training facility and test-bed for emerging technologies. 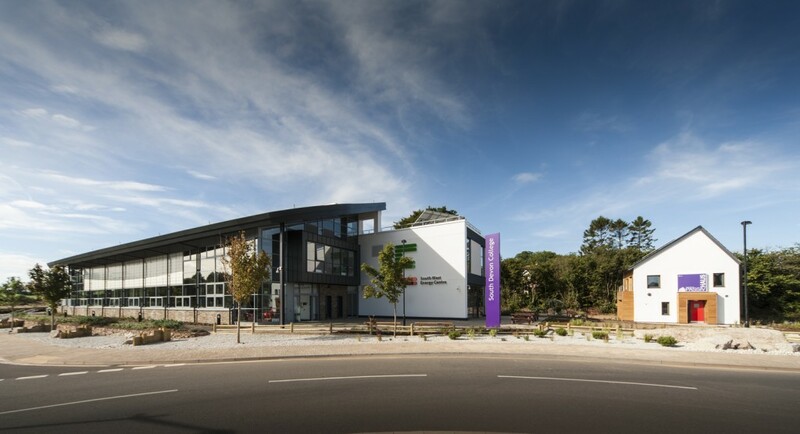 The BREEAM ‘Excellent’ building not only demonstrates exemplar sustainable credentials in its design and construction, it also incorporates a 3-bed demonstration Passivhaus on site for teaching and research, unique in any UK college. 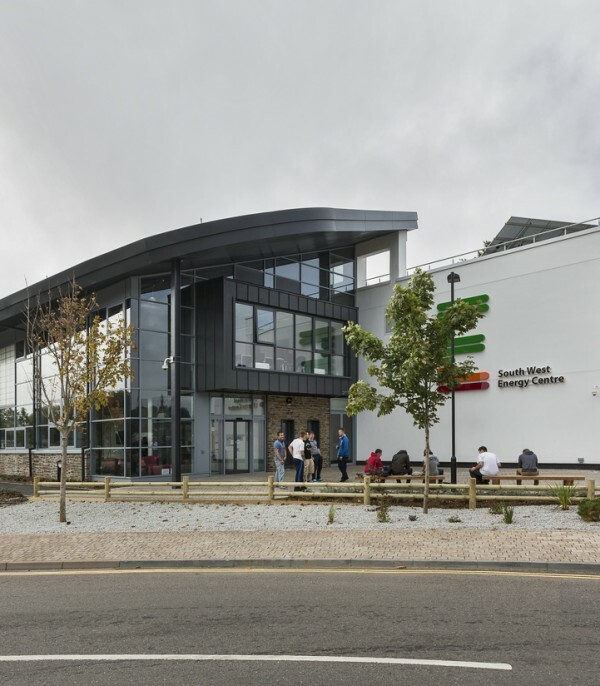 The 1800 sq m centre includes a large construction hall, display area, classrooms, innovation and incubation facilities and cafe, along with large plant room, which is deliberately oversized for teaching. 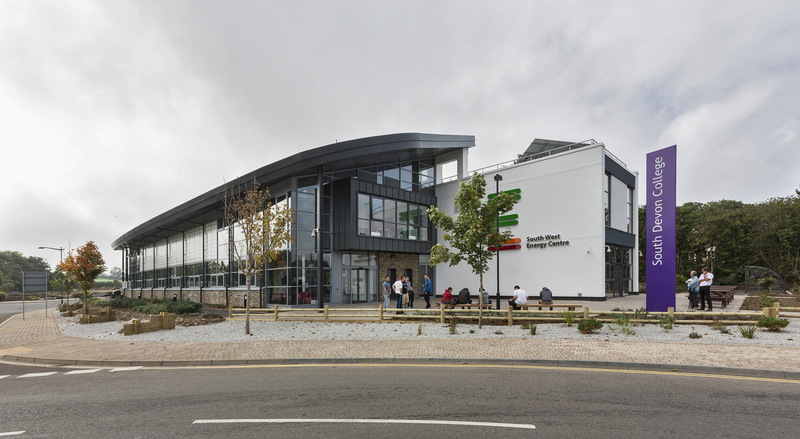 A sedum roof, solar wall, PV array and host of sustainable technologies have been incorporated along with a Schneider Electric Building Energy Management System (BEMS), which allows real time data to be collected and accessed on screens around the centre and used to demonstrate the environmental performance of the unique building. 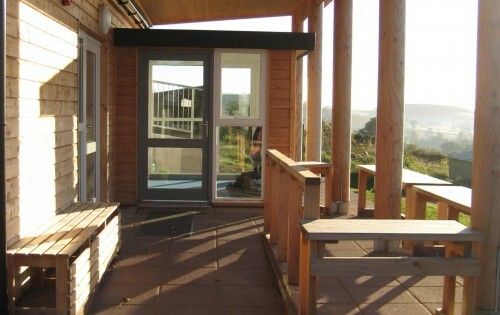 The two-storey, detached Passivhaus – designed by LHC and sponsored by Kier Living – replicates a standard commercial property set within its own plot. 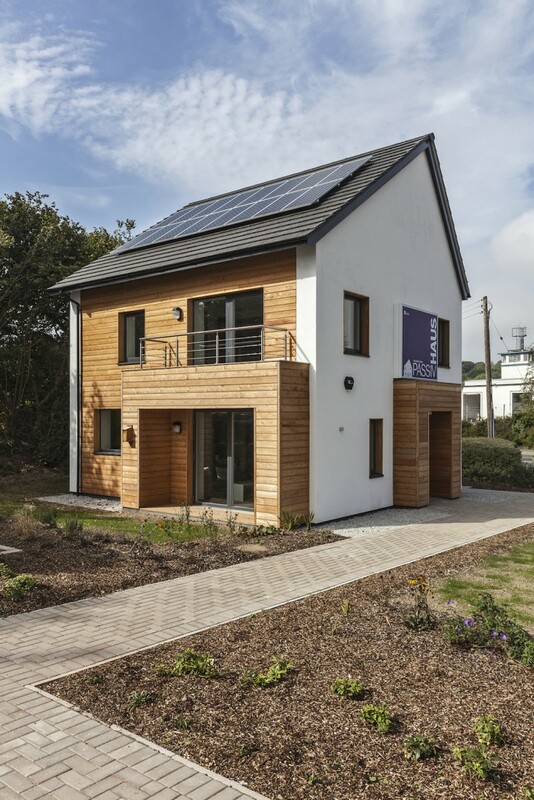 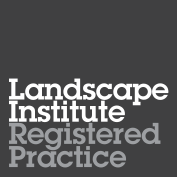 To reflect the move towards ‘Fabric First’ design and to ensure that the house achieves the 2016 zero carbon goal for residential buildings, it is built and certified to the Passivhaus standard.